What factors influence the price of Irish property? 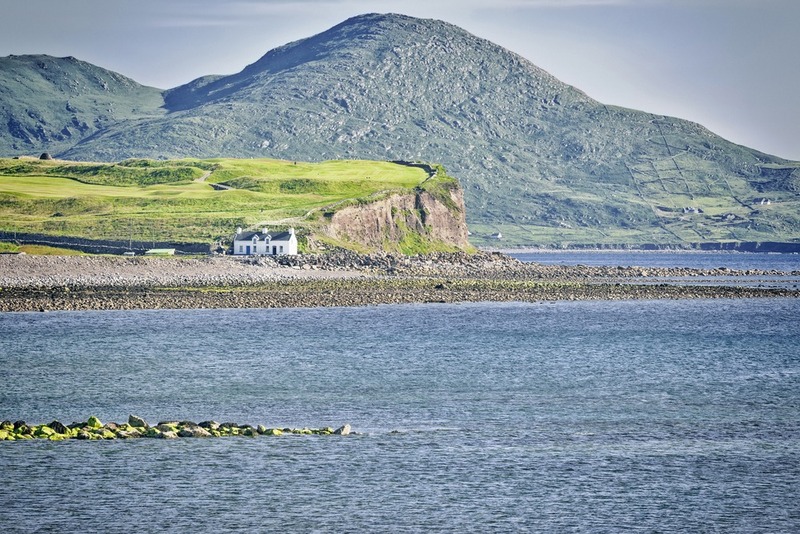 Ireland’s mainly coastal or riverside towns and cities generally boast excellent views over the water and countryside. However, those views come at a cost, according to a new report by Daft.ie. The average sea-facing property costs several thousands more than a non-sea-facing counterpart. So what are the key factors to be aware of that can change the price of Irish property? A property with a sea view can cost €11,000 more than one without. Daft.ie’s survey reveals that, for the privilege of a sea view, property purchasers pay an average €11,000 more. The upside of this is, however, that if average property prices seem high in coastal regions, you can often find bargains by heading just a bit inland. You’ll still be able to enjoy all the advantages of living by the sea, even if you don’t have a direct view. For the privilege of a sea view, property purchasers pay an average €11,000 more. The survey also discovered that living near a ‘blue flag’ beach – of which there are four in the Dublin area alone – can push up prices. The average increase in price of Irish property here is around €6,000. Not only that, but even being within 100m of the coast can make a property up to a third more expensive. So, if you’re looking for bargains, it could be worth heading inland. Locations such as Carrick-on-Shannon in County Leitrim have some of the cheapest property in Ireland. The areas around Dublin, once small towns, have seen a growth in commuters into the capital. In fact, prices in the commuter belt are rising faster than in Dublin itself. In County Laois, they’ve grown by 6.1% since the start of 2018, and 6.7% in County Cavan. Nonetheless, prices are still more affordable than in the centre – so you could get yourself both a cheap house and a great long-term investment by purchasing around here. It’s important to remember, however, that prices are relative. A house with a seaside view may well be much more expensive than its landward-facing counterparts, but that’s only in the context of the region. A seaview house in somewhere like beautiful County Sligo, which has an average price of €142,000, will still likely be much cheaper than South Dublin. Equally, if you’re moving from a more expensive area of the UK, such as the southeast, you’ll generally easily be able to upsize. Of course, for anyone buying from abroad, a big factor in the price of Irish property is currency. Exchange rates are constantly changing – which can mean a property’s price moves rapidly. For example, over the last year, a €180,000 house would have ranged in cost from £155,000 up to £166,000. Over the last year, a €180,000 house would have ranged in cost from £155,000 up to £166,000. You can, however, help to control these price increases. You can, however, help to control these price increases. We’ve partnered with Smart Currency Exchange, the only property-specialist currency company, for over a decade to help our readers protect their budget. At Smart, your named personal trader can use a forward contract to lock in the exchange rate for 12 months. This means that that €180,000 house would still be £155,000 for you – even when the exchange rate added on an extra €10,000. If you’re concerned about exchange rate movements when buying abroad, discover in detail how to control the risk with the Property Buyer’s Guide to Currency, written by our partner Smart Currency Exchange. Where do you start when buying? 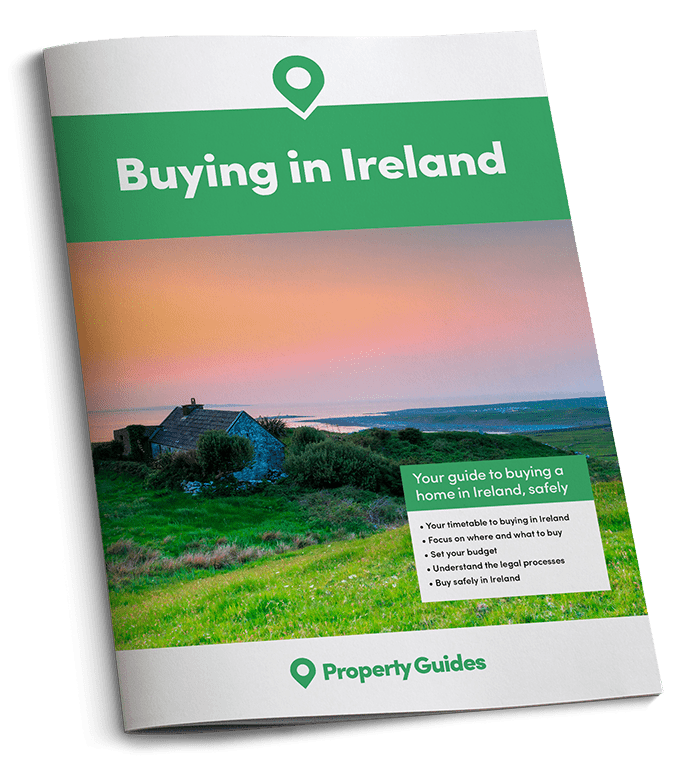 If you’re looking to take advantage of lower prices of Irish property, make sure to download your expert Irish Property Guide below. It contains all the information you need in one place, from steps to take to tips from people who’ve been through the process.